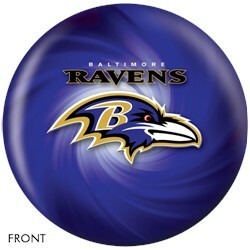 Represent your favorite team at the bowling alley with this ball! The KR Baltimore Ravens NFL ball is designed for any lane condition and would make a great gift for any NFL Raven fans out there! 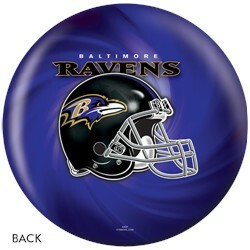 I would like to purchase an 8 pound Baltimore Ravens ball. I see that it is on back order. If I order it now will I get in before Christmas? Hello Tony. Unfortunately, we do not have a list for how long this will be on back order. It can be 2-4 weeks before we start getting shipments in for the 8 pound balls. Due to the time it takes to produce the KR Strikeforce Baltimore Ravens NFL Ball ball it will ship in immediately. We cannot ship this ball outside the United States.